Everyone’s favorite Wookie is getting a huge new release by Medicom Toy! 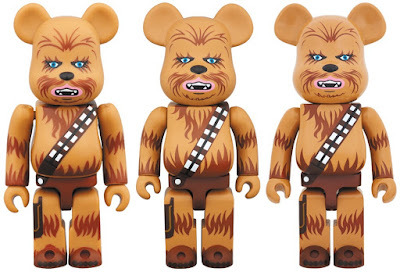 The Japanese toy company has unveiled a new Chewbacca Be@rbrick vinyl figure that they’ll be releasing in 100%, 400% and 1,000% sizes. Can you imagine adding this freaking huge Star Wars 1,000% Be@rbrick to your collection!?! It would be pretty epic. 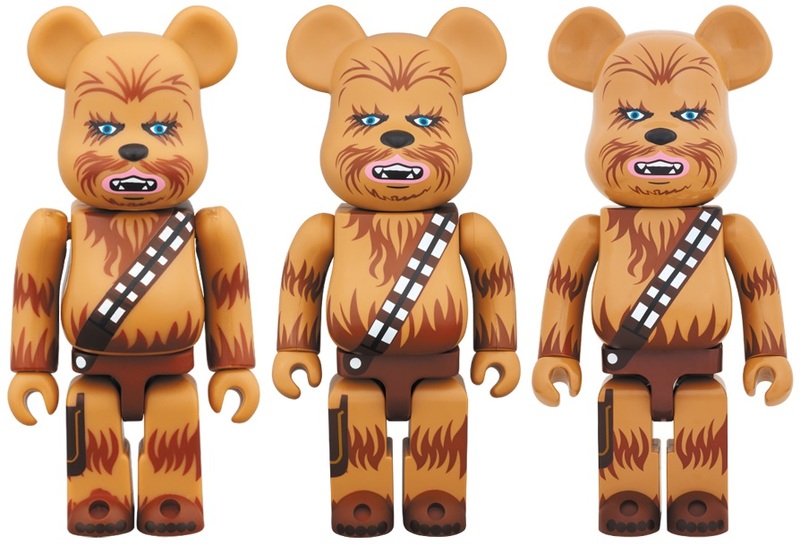 These Star Wars Chewbacca Be@rbrick figures are expected to ship later this month (December 2016). The 100% Be@rbrick stands 2.75” tall and will retail for around $15-25, the 400% Be@rbrick stands 11” tall and will retail for around $75-125, and the 1,000% Be@rbrick stands 27.5” tall and will retail for around $300-650.